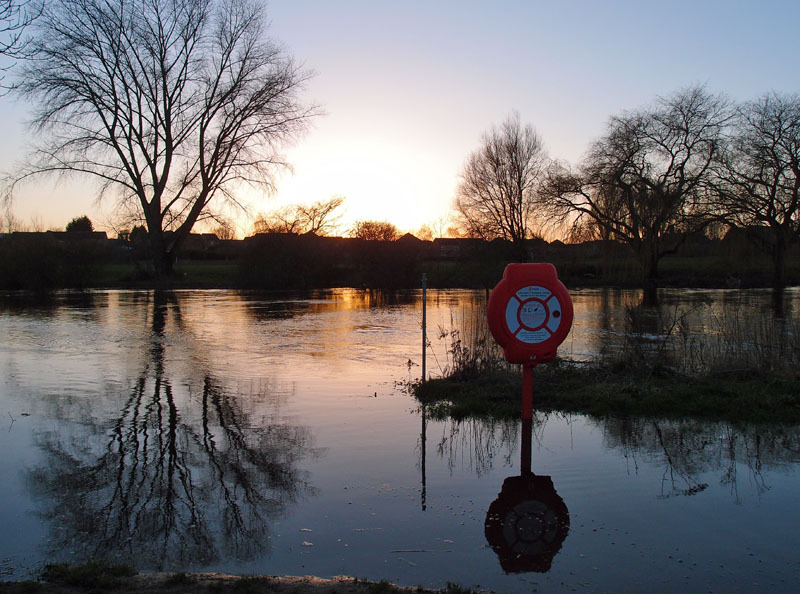 On Christmas Eve the Ouse began to ooze across the riverside paths, spilling out beyond its usual banks. This is of course a regular occurrence, though it seems a while since it happened. Maybe I wasn’t paying proper attention. I am now aware and up to date on what the Ouse is doing, thanks to a particular Twitter account. @RiverOuseYork sends out regular tweets on the level of the Ouse, taking its data from the poetically-named ‘Viking Recorder’. The information from the Viking Recorder is also available from the Environment Agency in this longer format, presented in different ways. But there’s something particularly charming and satisfying about the @RiverOuseYork format. Something nicely reassuring and soothing in that regularly repeated ‘Everything’s okay :)’, I thought. Everything really wasn’t okay, and I don’t know why anyone should find an automated announcement like that reassuring, but, dear readers, I did. Yes, I know, I maybe need to get out more. And when I do, I often grab old bikey and head off madly pedalling towards Clifton ings. And if you’re pedalling to the ings you really need to know what the river is doing, and whether the riverside paths are underwater. I went up there yesterday, and thanks to @RiverOuseYork was aware before I got there that progress may be impeded. It would have been too deep to walk through without wellies, but it was shallow enough to cycle through. 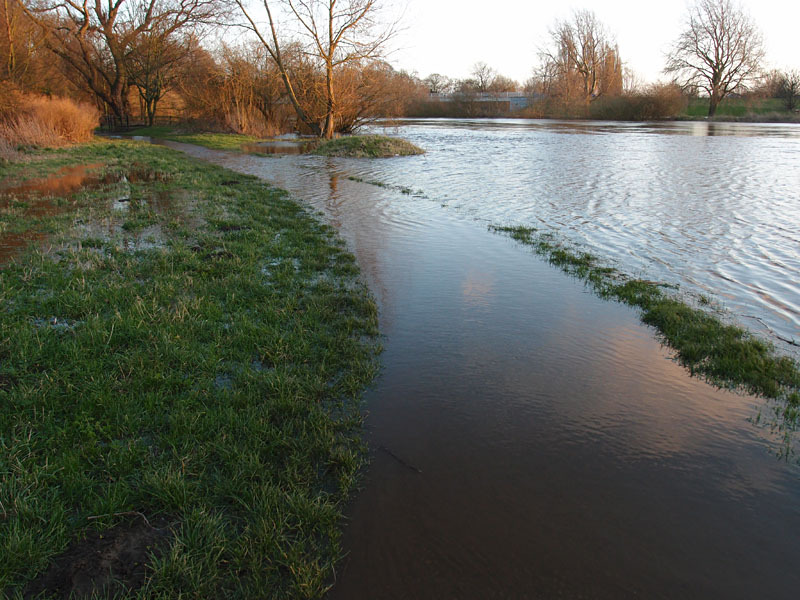 The River Ouse has been doing its usual seasonal thing, rising and falling more this month, with those bits of spillage onto the paths. But as the Environment Agency information reminds us, it’s nothing like the dramatic floods of 2012 and other years. The Viking Recorder has been recording since March 1996. The highest river level it recorded was 5.40 metres (the floods of 2000). It recorded a river level of 5.07 metres on 27 September 2012. I recorded that September’s rising river in a more impressionistic fashion, with my camera, on these pages. A bit before my time were the floods of 1892, recorded on a gatepost near Lendal Bridge. The gatepost marker also records one of the more recent major floods, during which buses had to use the private (BR-owned) road off Station Rise. The floods of 1978 were similarly dramatic: the Siege of York. The longer I’ve lived here in Clifton the more notice I take of the river, that ‘strong brown god‘. So fluid and natural and magical are its movements, if you’re merely walking and watching. That fluidity captured in hard data sent out automatically on Twitter is a splendid melding together. Something as old as the hills, its moods and movements conveyed through 21st century technology. On this site there are many pages to peruse about the Ouse and its doings. And if you’re heading out up that riverside cycle path up Clifton way, you might like one of these. Route 65 through the ings and the meadows also offers the chance of ‘Finding Asylum’ (Route 5) and also reaching out further and ‘Racing Trains’ (Route 8).